Carol Cary is a senior consultant with Carter Research, a strategic advisory and operations consulting firm to the education industry. After ten years in business, Carol’s career in educational leadership included work in both Catholic and public education—suburban and urban—as Superintendent of Schools. Carol’s success as a school leader is attributed to her collaborative style of leadership and her commitment to innovative practices. 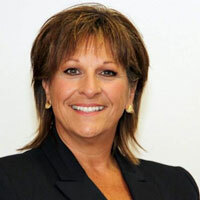 Most recently Carol served as Superintendent of Schools at Marple Newtown School District and as both Superintendent and Director of Curriulum and Instruction for the Archdiocese of Philadelphia. Carol received her master’s degree in School Administration in from North Carolina State University and her doctoral degree in Educational Leadership from Immaculata University. She is a licensed superintendent in the Commonwealth of Pennsylvania. Carol is the mother of three sons, Justin, Jordan, and Jared and is married to Jack Cary, a successful technology design engineer.